Of all places to be involved in dire circumstances, vacation would hardly be one’s first guess. However, this is the exact unfortunate situation Touma Kamijou seems to find himself in now. Following the fight with Accelerator, Academy City’s higher-ups deem it a good idea to allow Touma Kamijou to go on a vacation. However, just as his vacation begins, Kamjiou notices that something is not right: namely, that the roles of his friends seem reversed, with Index acting like his mother and Mikoto Misaka acting like his cousin and so on. As it turns out, a nasty bit of sorcery called ‘Angel Fall’ is happening all around the world, and the consequences are severe enough that priests of Necessarius are sent to investigate Touma, who unfortunately seems to be at the epicenter of the disaster. A Certain Magical Index’s author Kazuma Kamachi wrote all of the first four books in a single year. This would be an impressive feat on its own, but the fact that each of the books shines in its own way and manages to somehow introduce its own clever concepts into the progressive world-building makes the entire effort seem more outrageously brilliant. 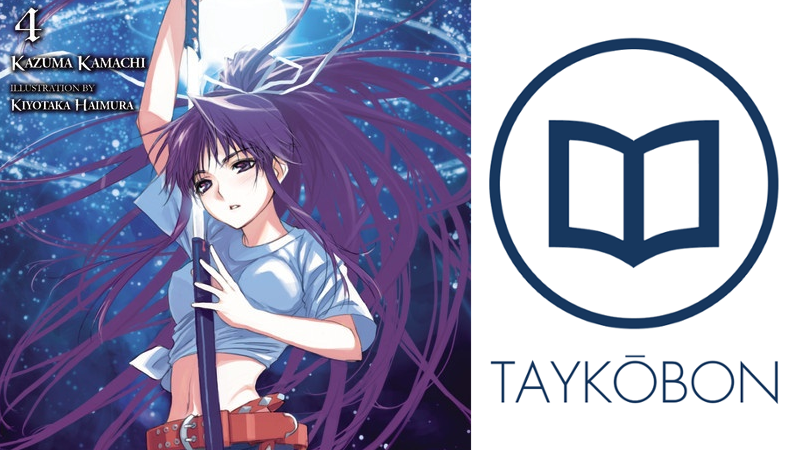 The fourth volume returns to the magical side of the two-sided world of Index, and the story centralizes around a particular phenomenon called ‘Angel Fall’. As you might be able to guess from the title, Angel Fall involves a ritual that brings an angel down to Earth, which causes the bodies of all the humans to switch. I liked this aspect for a couple of reasons: firstly, it allowed the beginning of the story to be hilarious, because people from around Touma Kamijou’s life that should NOT be switched were doing just that, such as the middle school girl Index being swapped with the big high school kid known by Touma as ‘Blue Hair’. The other appeal this concept had was that it was once again utilized interestingly by Kamachi and kept me guessing as to both the culprit and the way the threat would be neutralized. Now I won’t lie, as of about the halfway point into the story, I wasn’t quite convinced that this book was up to the level of its predecessors because of a few neat coincidences mostly surrounding the apparent antagonist, serial killer Jinsaku Hino. Of course, Touma is a very unlucky guy, but his involvement with the knife enthusiast seemed a bit forced at best in terms of textual explanation. However, the ending made up for this substantially by being clever and engaging. The actual solution to the crisis is drawn from evidence dropped throughout the book that was readily available should the reader be paying attention, which is always a good way of handling a mystery. On top of that, the ‘final battle’ that seems to be the staple of each volume thus far was a bit different from previous ones in general style by avoiding the general flow of Touma being beaten up, refusing to back down, and then winning against all odds. What really has begun to stick out to me quite a bit is Kamachi’s writing style, which was something that wasn’t fully apparent until I had gotten a feel for it through reading multiple volumes. His development of his characters both new and old (in this volume, Church of Necessarius members Kanzaki and Tsuchimikado in particular) through their thoughts and their interactions with the other members of the cast is really well done, and the pacing of his novels makes the ~230 pages really feel like they have greater volume than their physical size would suggest. It isn’t just Kamachi pulling all the weight for us English readers, however. Yen Press translators Andrew Prowse and Yoshito Hinton seem to get better and better with each passing book, and I felt like volume 4 in particular read the best thus far. A Certain Magical Index is a very stable series in terms of quality. Every time I pick up the next volume, there seems to be a certain assurance of entertainment that comes from both the characters and the intriguing world they inhabit. While I still think that the 3rd volume is my favorite so far, the 4th volume continues to deliver on this promise of quality and is an easy book to recommend. A Certain Magical Index Vol. 4 was authored by Kazuma Kamachi and published by Yen Press on August 19, 2015. A Certain Magical Index was an ongoing series in ASCII’s Dengeki Bunko imprint, and received two anime adaptions by J.C. Staff in Fall 2008 and Fall 2010. Volume 5 will release in North America on November 17th.